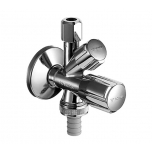 This kitchen tap of the Zedra Touch range will stay clean even when your hands are not: thanks to the EasyTouch technology, a light touch with the back of your hand or wrist will activate and deactivate the water flow, never leaving a smudge on the radiant GROHE StarLight chrome finish. For your safety, the integrated scalding protection ensures that only cold water flows upon touch activation. 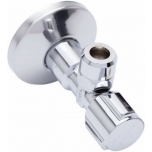 The high spout with a 360° swivel range provides full flexibility when filling pots or washing dishes, and the pull-down shower head will further maximize your operating radius. 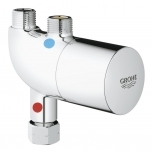 Water temperature and volume of this single-lever mixer can be controlled smoothly and effortlessly thanks to the GROHE SilkMove technology.